America’s ‘Black Friday’ concept has now well and truly infiltrated the UK marketplace. After years of creeping across the Atlantic, Black Friday and its little brother Cyber Monday are now major events for shoppers with retailers with more emphasis now put on the day than ever before, creating an international gift-buying frenzy. Just last year UK shoppers spent £2.9bn on Black Friday alone, making the weekend an incredibly attractive opportunity for most retailers. However, with all the impulse shopping that these two events generate there is plenty of opportunity for customers to experience some amount of buyer’s remorse. In 2015 almost 5% of purchases made over the Black Friday and Cyber Monday weekend were returned to the retailer, equating to £180 million worth of products sent back. With higher sales expected this year, this number is likely to rise even further. Online purchases alone are high-risk in terms of returns, bringing with them return rates (up to 40% in some cases). Coupled with heightened consumer expectations of relaxed return policies, online purchases are likely to be one of the biggest causes of returns this Black Friday weekend. So, what can retailers do to recover losses from returned stock that can’t go back onto real and virtual shelves and is slated for liquidation? Companies in today’s aggressive business climate can’t afford to use outdated techniques for their returned and obsolete inventory slated for liquidation, and unless they have a zero-returns policy in place – which in today’s retail environment is incredibly unlikely – there is no hiding from the returns they will receive following Black Friday and Cyber Monday. By planning ahead and putting suitable processes in place at every step, returns can become a strategic asset for retailers, rather than a financial and logistical nightmare. When stock is sent back, standard practice in retail has long been to rely on liquidators or middlemen to take on any merchandise that is slated for the secondary market,” explains B-Stock director EMEA Ben Whitaker. “Often however for retailers this provides much lower financial returns than could be possible, with retailers losing control of downstream sales due to the fact there is little immediate action they can take against their buyers without risking damage to their business,” he says. A much more profitable option for retailers is to take reselling into their own hands and employ an internet-based solution – specifically, launching an online auction B2B liquidation marketplace that can be customised, integrated, scaled and marketed based on the retailer’s unique inventory needs. “This type of solution enables thousands of buyers compete for inventory, rather than having a handful of buyers’ negotiate offline. What’s more, it automates the process, ensuring a much quicker sales cycle and proprietary market intelligence in the form of real data on market prices, and gives the retailer much greater control over the distribution of their stock. Now liquidation becomes a strategic asset that will benefit the retailer, rather than a middleman, for years to come,” explains Ben. In recent years many retailers have been all too quick to jump on the ‘me too’ bandwagon when it comes to emerging technologies, making significant investments but without any clear plan on how to utilise them or what return they will bring to the business, and neglecting more vital tech such as EPOS systems as a result. 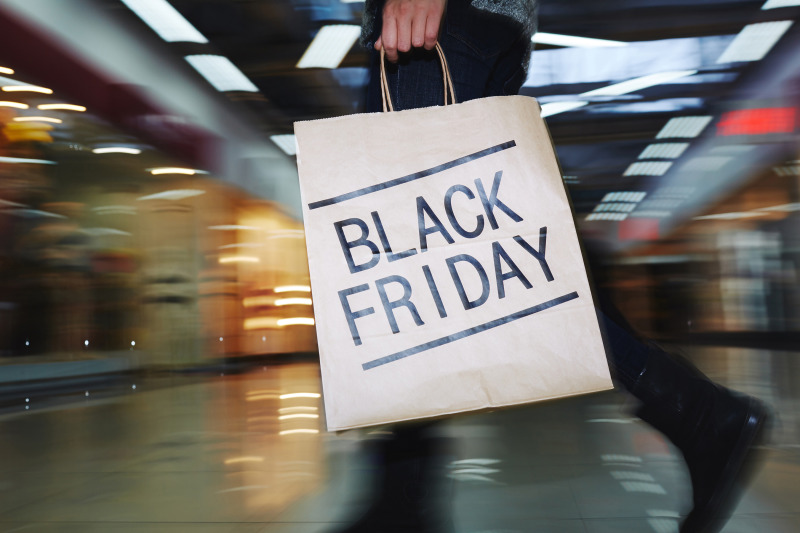 BMc Equip division manager Rob Griffiths says that, instead, retailers should make smart future EPOS choices in order to ensure IT provisions are able to meet requirements, especially around events such as Black Friday.